Goal. It lies in the synthesis of inertia-rigid parameters of two-mass resonance vibration machines taking into account the interference of rigid parameters in the oscillatory system. Topicality. The need for these studies is due to the fact that the vibration machine interacts with the parameters of the oscillation system, the main of which are inertial, rigid and power. If they are correctly calculated and implemented in the design of a vibration machine, it will be robust. Failure to consider one type of parameters causes an error in the calculation. Method. The refinement of analytical expressions is carried out using the classical approaches for linear vibrational systems with harmonic perturbation. For this the physical model of the two-mass resonance oscillation system is considered and its mathematical model is developed as a system of linear differential equations. On the basis of this the solution is formed (the values of the amplitudes of oscillations). Unknown parameters remain rigid, provided that the inertia is constructed. Therefore, using the determinants of the matrix of coefficients for unknowns, the necessary mathematical operations are performed that satisfy the imposed conditions for the establishment of rigid parameters. Results. In the paper a series of analytical expressions are obtained that examine the mutual influence of rigid parameters in the system. A comparison of the obtained results according to the specified expressions with classical analytical expressions is made. It is established that the values according to the proposed expressions do not differ significantly from the classical approaches, and therefore, in the case of in-energy calculations, it is sufficient to use existing expressions. The proposed expressions are more precise and therefore recommended for scientific research. Scientific novelty. For the first time, we succeeded in synthesizing analytical expressions for the establishment of inertia-rigid parameters that allow more accurate calculation of two-mass resonance oscillation systems. It is established that for the correct choice of resonant alignments in the system, the mutual influence of rigid parameters in the system is not significant, and therefore it is scientifically grounded to use classical approaches. Practical significance. Established analytical expressions can be widely used in the design of vibration process equipment. The transparency of the output and the relative simplicity of the proposed analytical expressions allows for their widespread use in practice. 1. Medvid' M. V. (1963). Avtomaticheskie orientiruyushchie zagruzochnye ustrojstva i mekhanizmy [Automatic orientation loading devices and mechanisms]. Moscow: Mashgiz [in Russian]. 2. Bauman V. A., & Byhovskij I. I. (1977). Vibracionnye mashiny i processy v stroitel'stve [Vibration machines and processes in construction]. Moscow: Vysshaya shkola [in Russian]. 3. Nazarenko І. І. (2007). 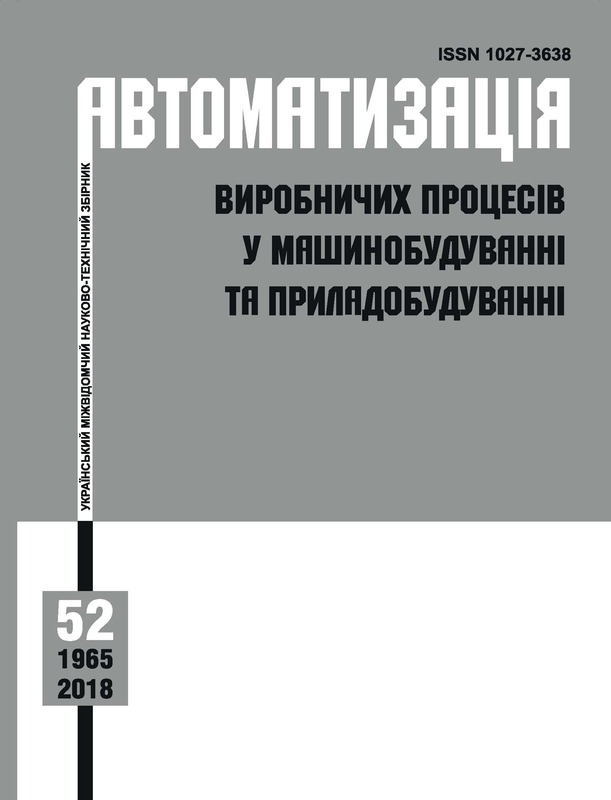 Vіbracіjnі mashini і procesi budіvel'noї іndustrії [Vibrating machines and processes of the construction industry]. Kyiv: KUNBA [in Ukrainian]. 4. Goncharevich I. F., & Strel'nikov L. P. (1959). Elektrovibracionnaya transportnaya tekhnika [Electro-vibration transport technology]. Moscow: Gostekhizdat [in Russian]. 5. Rabinovich A. N., Yahimovich V. A., & Boechko B. Yu. (1965). Avtomaticheskie zagruzochnye ustrojstva vibracionnogo tipa [Automatic loading devices of vibration type]. Kyiv: Tekhnika [in Ukrainian].